Alfa Romeo is a name built on fine Italian craftsmanship. This brand has built its reputations on head-turning design combined with the highest-quality engineering, resulting in highly sought-after luxury models with a cult following. The designs may have changed with fashion, and the engineering may have changed with innovation, but the commitment to quality has never faded. Today, these modern luxury Italian automobiles are made using some of the most sophisticated manufacturing technology in the world at the FCA Cassino Assembly Plant. Since 1972, the Cassino Assembly plant has built over 7 million premium models to be sold around the world. From the day the first model rolled off the assembly line, this plant has remained on the leading edge of manufacturing technology, constantly upgrading equipment and improving processes. The plant’s leadership and staff have always made it their mission to make Cassino a premium plant for the production of a truly premium product. The plant itself is a combination of man and machine. In a facility that offers over 2 million square feet of state-of-the-art automotive assembly, more than 4,300 employees work hand-in-hand with the latest robotic machinery. The Body Shop alone houses over 1,300 different kinds of robots that enhance the precision and efficiency of their human counterparts. 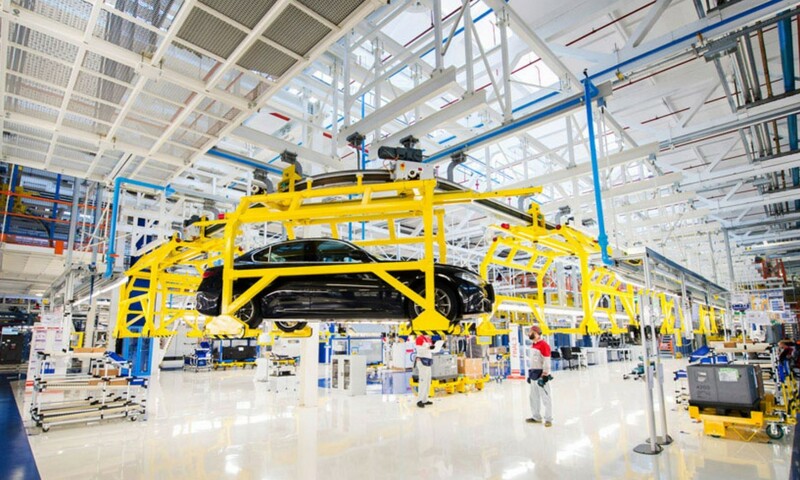 With expertly-trained technicians using lightning-fast robotics, the Cassino plant can produce as many as 1,000 luxury automobiles per day. Not only does the Cassino plant feature premium technology; it’s built around a premium culture. The plant leadership recognizes that one of the most effective ways to build top-tier automobiles is to create a top-tier workplace. That’s why every one of the thousands of plant employees is empowered to be an agent of change. The senior staff works directly with those on the assembly floor in order to stay aware of every detail of the production process. The plant organizational structure uses smaller teams to encourage greater communication, so each team leader can focus on employee satisfaction as well as productivity. Finally, training plays one of the most important roles, thousands of hours of training are provided each year in the classroom and simulated working environments, as well as on the job. This great attention to detail in safety and efficiency also extends to the environment outside of the plant. Following the global commitment of FCA plants for World Class Manufacturing practices, the Cassino Assembly Plant has made conservation a watchword. That’s why the plant can boast three big zeroes: zero waste, zero water, and zero CO2. Since 2000, the plant has sent zero waste to the landfill with all by-products from production processes being 100% recovered or recycled. In addition, all of the plant’s water usage comes from on-site water harvesting or recycling, and all of the energy usage comes from renewable resources, including on-site solar power generation. All of this innovation and conservation is not easy to achieve, but it sure is easy to appreciate, especially when you consider the end result. 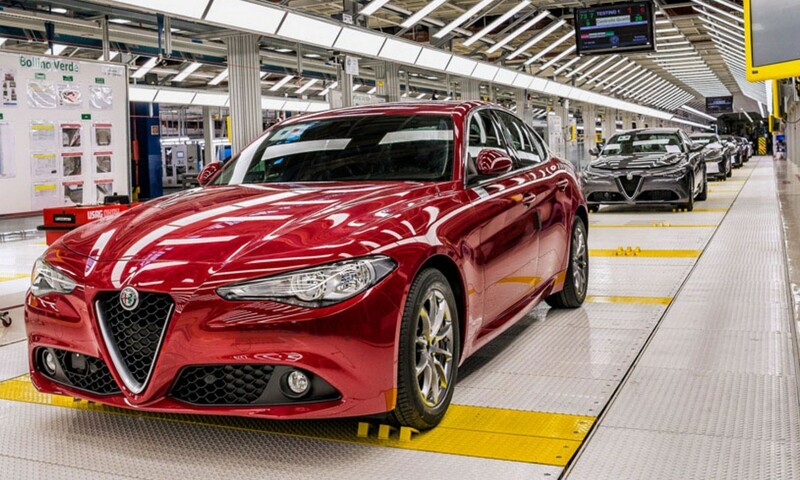 Alfa Romeo makes some of the finest cars in the world, and it’s all thanks to the finest leadership and personnel in the industry. Velocity Honolulu would love to show you the end result in person. Check out our latest inventory online, and then contact our sales staff to schedule a test drive. Standard equipment includes bi-Xenon headlights with LED daytime running lights, 19-inch alloy wheels, power tailgate, leather upholstery, 8.4-inch touchscreen infotainment system, eight-speaker audio system, dual-zone automatic climate control, rain-sensing wipers, heated power front seats, 60/40 split folding rear seat, and more. Drivers that demand a little more from their crossovers will love features like advanced active-air suspension and the famed Maserati Skyhook system. Driving a Levante is just as much fun as admiring it—if not even more so—in its luxurious interior and stylish exterior, and it’s clear to see that the 2018 Maserati Levante isn’t for those that simply follow the herd. Selecting your very own Maserati Levante means choosing from two tantalizing engine choices: a 3.0-liter twin-turbocharged V6 engine, and a 3.8-liter V8. The V6 found in the base Levante has 345 horsepower and 369 pound-feet of torque, while the engine in the Levante S offers 424 hp and 428 lb-ft of torque. Both versions are paired with an eight-speed automatic transmission and the Q4 all-wheel-drive system from the Ghibli and Quattroporte sedans. Stepping up to the Levante GTS or the mighty Levante Trofeo, grants you access to a Ferrari-derived 3.8-liter V8 engine under the hood. In the GTS, that engine makes an incredible 550 horsepower and 538 lb-ft of torque, while the Trofeo produces an astonishing 590 horsepower and 538 lb-ft as well. These two trim levels transform the Levante into a full-blown performance weapon. To make this the Maserati of crossovers, the automaker’s engineers also focused a considerable amount of attention on the chassis. The Q4 all-wheel-drive system features torque vectoring, which sends power to individual wheels while cornering to help the Levante turn in. The suspension is a sophisticated setup with air springs and Maserati’s Skyhook adjustable shock absorbers. The Levante’s platform is based on Maserati sedans but with heavy modifications that make it suited for crossover duty. Maserati used lightweight materials, including aluminum, to keep weight down, while also managing to achieve a perfect 50:50 weight distribution. Maserati claims that the Levante has the lowest center of gravity in its class, which directly helps improve handling. 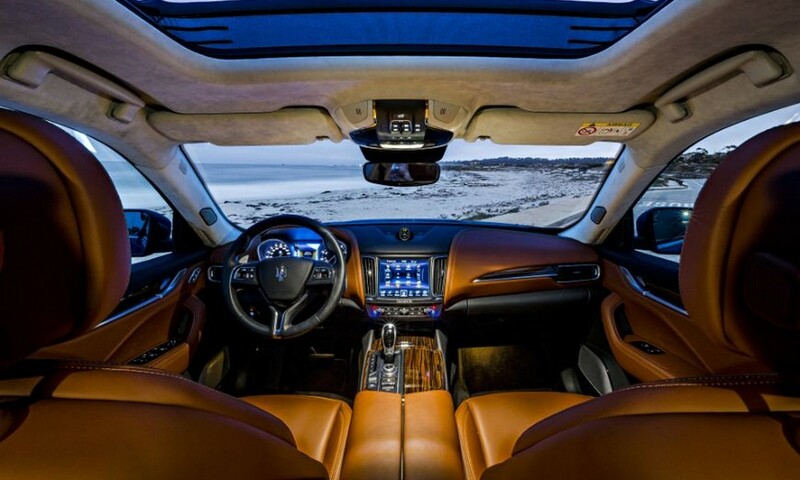 The Levante further enhances your driving experience by offering advanced safety features to keep your mind at ease. Thanks to a Forward Collision Warning System, Blind Spot Alert and Rear Cross Path Detection, a Lane Departure Warning System, and Adaptive Cruise Control with Stop & Go, you can rest assured that your automotive adventure partner will help keep you safe and sound. The Maserati Ghibli is a sleek sport sedan with the engine options and exotic style to back up its striking road presence. Just as powerful and luxurious as its crossover cousin, the Ghibli is as nimble on city streets as it is powerful on back country roads. If your travel plans have you headed farther afield, consider the Maserati Quattroporte. Thanks to its sleek styling and cutting-edge tech, Maserati’s flagship is more than capable of taking on its more straitlaced competition. * MSRP listed may not include preparation, delivery and destination charges. Modern automotive technology makes it pretty easy to get comfortable behind the wheel. Computers and sensors help drivers stay safe out on the roads like never before. However, there are still some regular maintenance procedures that car owners must remember in order to keep a vehicle fully functioning and fully safe. The good news? The Velocity Honolulu Service Team can help with that. One of the most important maintenance topics the needs regular attention is proper tire care. One of the biggest reasons to make sure your vehicle’s wheels are aligned is safety. Misaligned wheels can cause a number of problems, including pulling to one side, less control over your vehicle, and an increased rate of wear on your tires’ tread. Not only is this dangerous, but you will have to replace your tires much more frequently if the alignment is off, which will put a big hole in your wallet. Another thing to consider is that misaligned wheels will negatively affect your vehicle’s fuel economy. Think about everything your tires encounter on a day-to-day basis. Whether it’s potholes, sticks, or rocks, your tires go through a beating every day. Sometimes, certain tires will wear more than others (especially if your alignment is off), creating tire imbalance and resulting in steering wheel vibration that gets worse at higher speeds. Imbalanced tires can wear more quickly and create an uncomfortable driving experience. Even the slightest imbalance can cause big problems, which is why it’s important to take your car to a high-quality service center and have its tires balanced at regular intervals. This will help ensure that no one tire will be worn to an exaggerated amount and that wear will occur more evenly on all four tires. The factory-certified professionals on the Velocity Honolulu team can quickly assess your wheels and tires for proper alignment and balance. If you’d like us to take a look at your ride or if you’re in need of any other service, you can now conveniently schedule your service online. 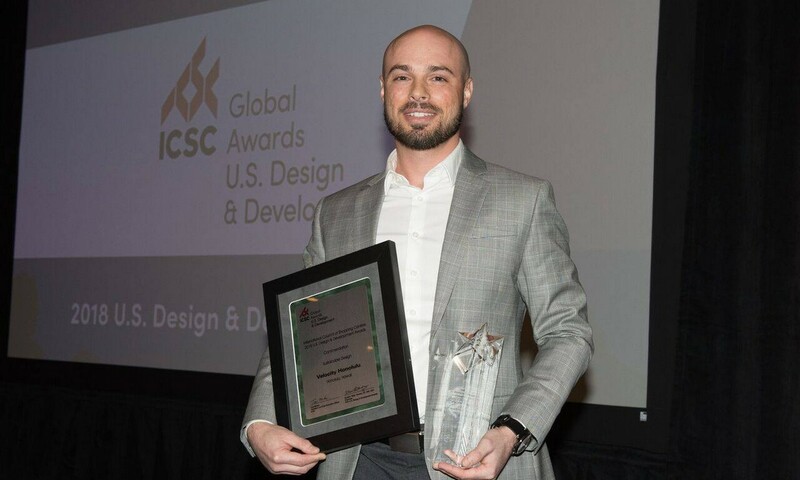 Acoustical: D. L. Adams Associates, Inc.
We want to also say thank you to the ICSC for this great honor, and thank you to all of our clients for always supporting our hard work to bring you the world of luxury living. Great leaders like Brad Nicolai realize that a person can be moving fast, but they are traveling at zero velocity if they aren’t displaced from their original position. Like velocity, the 42-year-old is always direction aware. Being born the son of one of Hawai‘i’s self-made success stories, father Joe put Brad on the path to success. But he’s maximized that success with the opening of Velocity Honolulu, a lifestyle concept that has taken the company far from its 1961 start. The bright open spaces and shiny cars and motorcycles are like heaven or nirvana for the high circle travelers who can afford them and for the dreamers, who hope to get there one day. The luxury car venue, which comes complete with restaurants, retail, spa services, meeting space and concierges, is miles ahead of the dirt lot at 1212 Ala Moana Blvd., where Joe Nicolai, the son of an Italian auto craftsman and technician, launched JN Group. “My father lived in his car for two years on the dirt lot. He didn’t have money for inventory, so he started with consignment cars,” Brad says as he recalled his family’s 56-year history in Hawai‘i’s automotive industry. From that humble beginning, JN has grown into a company that retails 10 auto brands and 12 moto brands. The company has 377 employees, an extensive brick-and mortar network of showrooms and retail offerings and a 388- unit luxury condominium Symphony, which opened in June 2016. 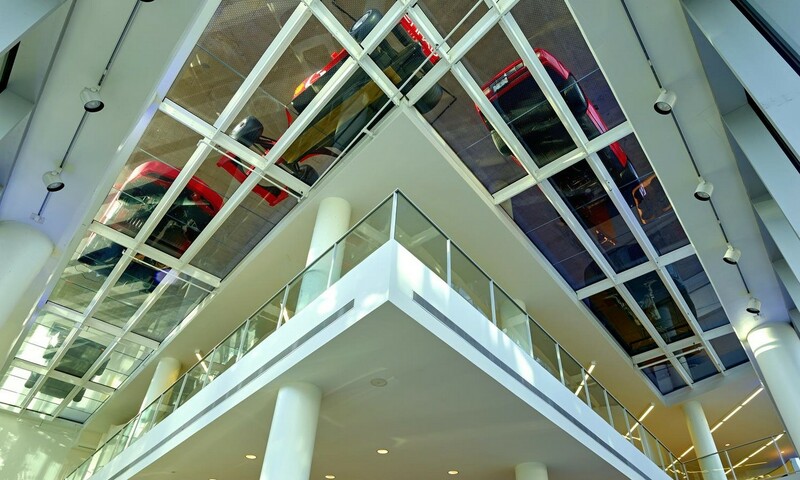 Its newest location, Velocity, which spans the first four floors of Symphony, is home to 16 European auto brands. It also includes a lash salon, blow-dry bar, menswear collection and barbershop. Velocity’s food offerings will include a café with a bar, which is slated to open this December, and a restaurant with a private dining room and a wine shop anticipated to open in January. At the wheel of these endeavors are chefs Gianpaolo Raschi, who is responsible for the success of the Michelin star Ristorante Guido in Rimini, Italy, and Italian master chef Maurizio Roberti. Brad says the company also plans to start construction on a moto café at the HNL Speed Shop, where an April 2018 opening is planned. He says the company also is partnering with Blue Tree Café at that site. The accelerated expansion is a lot for any owner to take on, but Brad doesn’t plan to break anytime soon. “My parents taught me that there’s no substitute for hard work. My father was focused 100 percent on the business. My mother, Eleanor, was a schoolteacher, who taught at Likelike Elementary for 32 years. Brad says he’s been going full-throttle since 14, when he got his first job working renting Jet Skis off Waikiki. He joined JN Group at 15 doing maintenance, cleaning bathrooms, washing cars and serving as a lot technician. “I was motivated to get a job at an early age. When you work at an early age, you certainly learn the value of a dollar,” he says. “I’ve probably washed more cars than anyone at this company.” Brad graduated from Punahou and Boston College and then earned a master’s degree at the University of Hawai‘i. After completing his education, he returned to the family business. By 2012, he was the company’s president. But friends, family and co-workers say his leadership style indicates that he hasn’t forgotten his years on the ground floor and in middle management. Paul Clayton, director of retail operations for JN Group, says the younger Nicolai’s approach to business “is always putting people first.” For instance, Clayton says Brad took the unusual tack of doling out food to new employees from the food service line at a grand opening party after JN acquired Jaguar. After Brad finished serving, Clayton says he chose to sit with the mechanics, then the salesmen and finally the executives. Brad says JN Group uses the urban garden on a rooftop deck at Cycle City to cool the building and create a healthy environment for employees. The building’s energy efficiency includes everything from photovoltaics to water reclamation. “Cycle City alone saves more than 50,000 barrels of oil annually. All of our energy-efficient practices there translate into an economic savings of $250,0000 annually,” Brad shares. That 2005 project was an extension of the work the company began in 1999, when it decided to use photovolatics to offset JN Preowned’s day-time energy. “He’s always had a big picture care for his community,” says Will Crowley, who is the director of real estate for Mid Pacific Asset Advisors LLC and has been Brad Nicolai’s childhood friend since fifth grade. 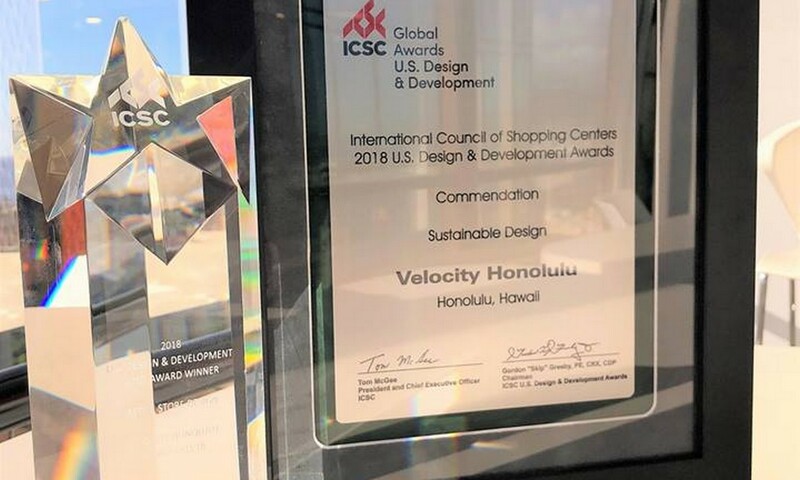 “Most of what he does is centered around treating people like family.” Symphony also was Kaka‘ako’s first LEED certified building, a designation reserved for the most energy efficient construction. Velocity also uses photovoltaic and water reclamation. 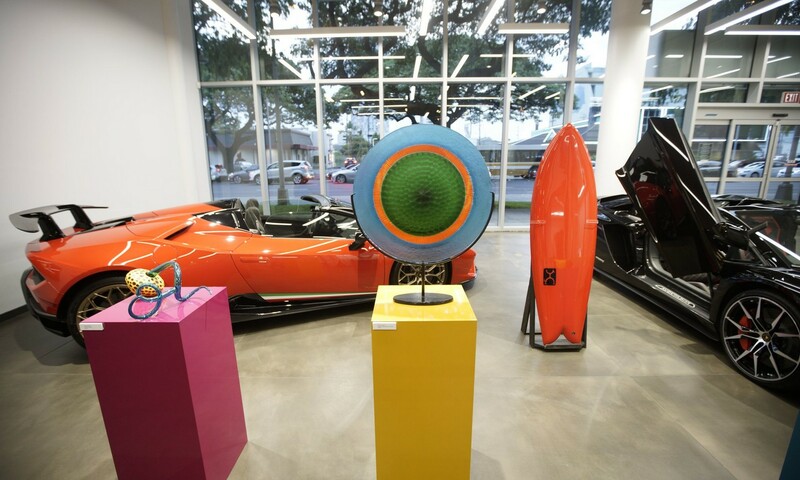 Recently, we had the good fortune to host an incredible evening of surf culture and ocean-related art in our showroom. Not only was the evening a great experience for art lovers, but we also raised money for a great cause in our community. 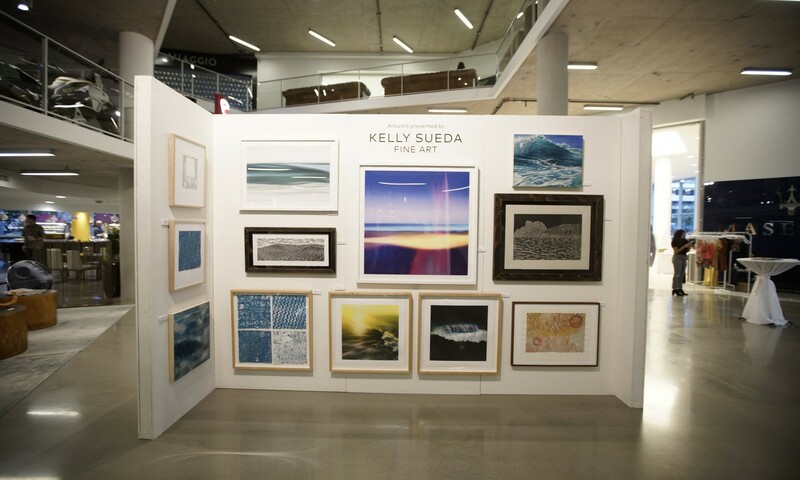 The Just Add Water exhibit was a collaboration between Modern Luxury Hawai’i magazine and Kelly Sueda Fine Art, bringing together mixed media pieces and live models to celebrate the art and style of our local surf community. This exhibit meshed perfectly with the coolness of our own luxurious showroom, and the entire evening offered an exclusive experience for our lucky guests. In addition, a portion of the proceeds from the evening went to support our local Kapi’olani Medical Center for Women and Children, right here in Honolulu. For more images from the evening, check out our Facebook gallery here.We want to thank the wonderful artists and models for their incredible work, and we want to thank all our friends and clients who came out to enjoy the show. We hope to see you all again soon!